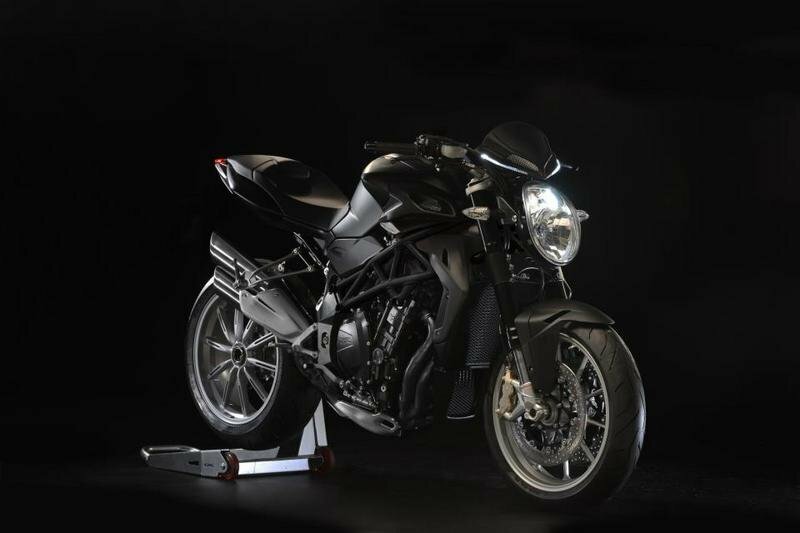 The MV Agusta Brutale is the strongest motorcycle in Agusta’s lineup. 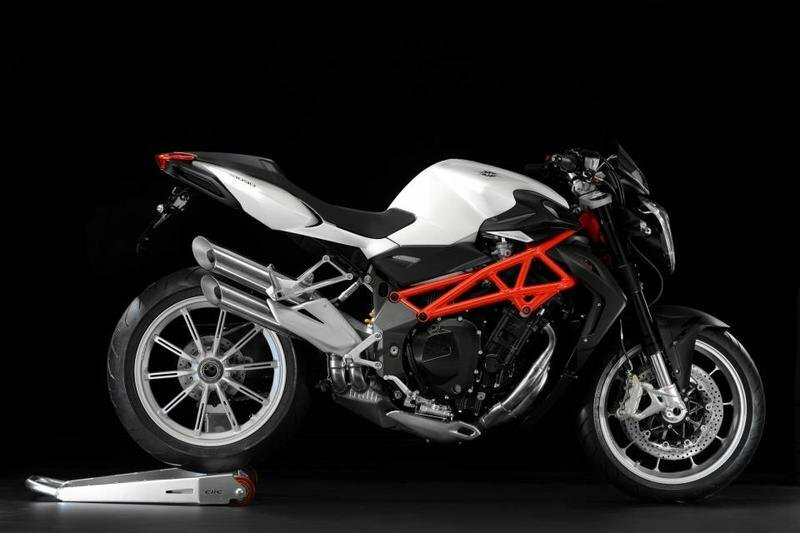 The motorcycle is not only the strongest as it’s also one of the best looking models designed by the Italian manufacturer. Among the most attractive visual details you’ll find the modern lighting elements which include day running lights arranged symmetrically on either side of the dashboard cover. 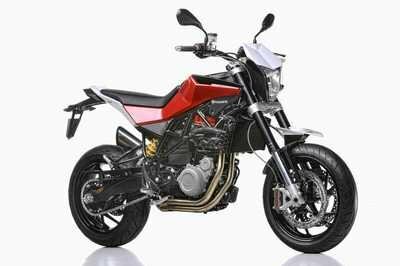 We also like the aggressive frame, the sculpted fuel tank and the dynamic tail. 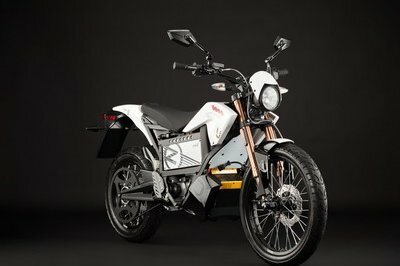 Compared to the previous generation, the 2012 model comes with a new pair of wheels which are about 1.500 grams lighter than the old ones. The two new double exhaust silencers, now come with tapered ends, featuring a tasty diagonal cut reminiscent of American dragsters. 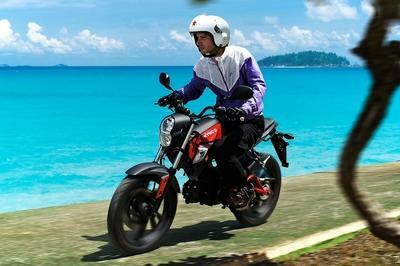 In terms of power, the motorcycle is equipped with a strong 1,078 cc, four cylinder engine paired with a six speed transmission. 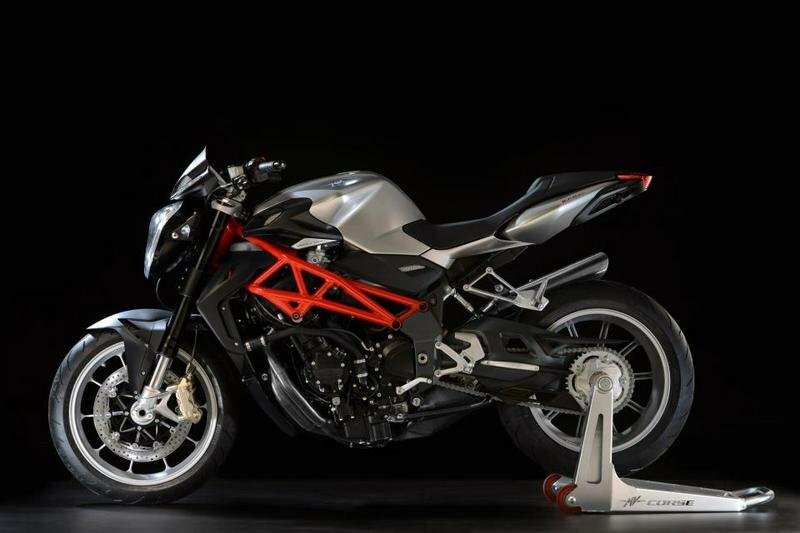 Hit the jump for more information on the 2012 MV Agusta Brutale 1090. 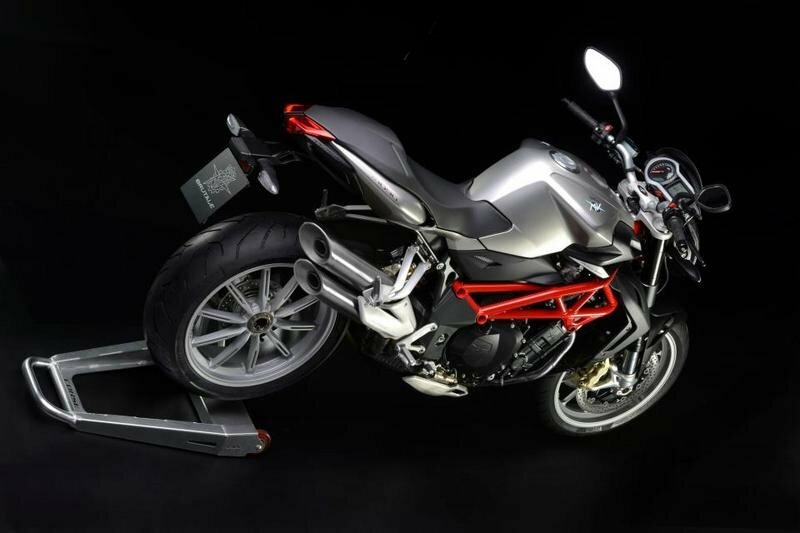 Ultimatemotorcycling ---- "For 2013, MVA has improved the suspension on the Brutale 1090 models. All models receive a full-adjustable 50mm diameter inverted from fork, which is adjustable through external adjusters; one features compression adjustment, the other rebound. But both feature spring preload adjustments." Cycleworld ---- "In terms of frame structure and geometry, the chassis is unchanged, but improvements have come from the latest-generation Marzocchi 50mm upside-down fork, which is fully adjustable on the Brutale RR, and the new, very elegant wheels that save a total of 3.3 lb. over the previous ones. 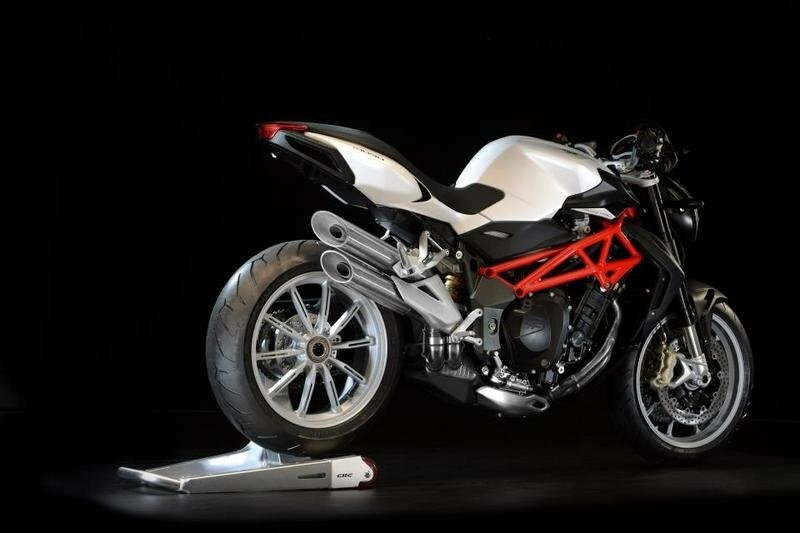 The standard Brutale still uses 310mm front brake rotors, while the R and RR go for Brembo 320mm discs. All calipers are of the radial-mount kind, with Brembo Monoblocs on the RR. 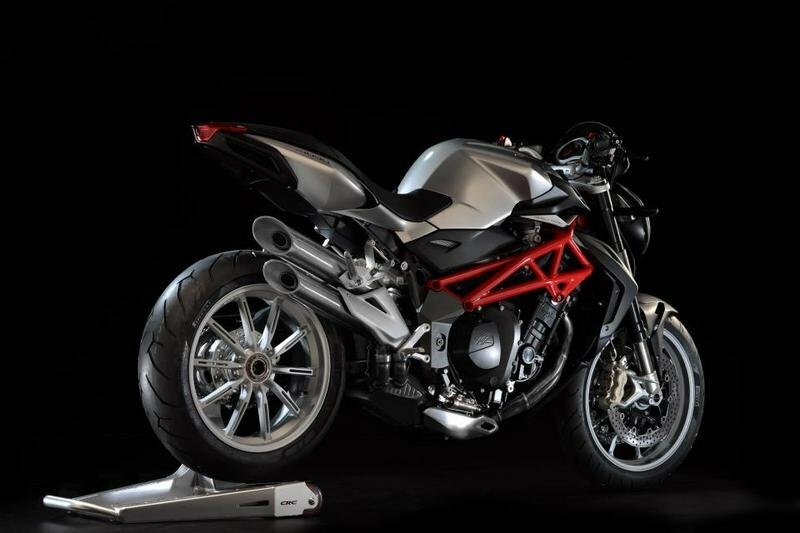 Graphics and color schemes follow MV Agusta tradition." 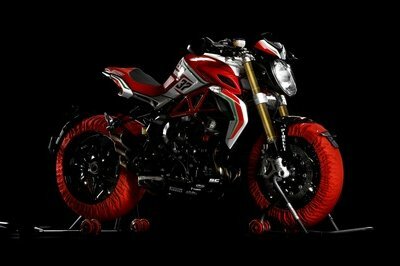 asphaltandrubber ---- "For differences between the models, the MV Agusta Brutale 1090 RR comes with a slipper clutch, though all three models feature a wet-clutch configuration. 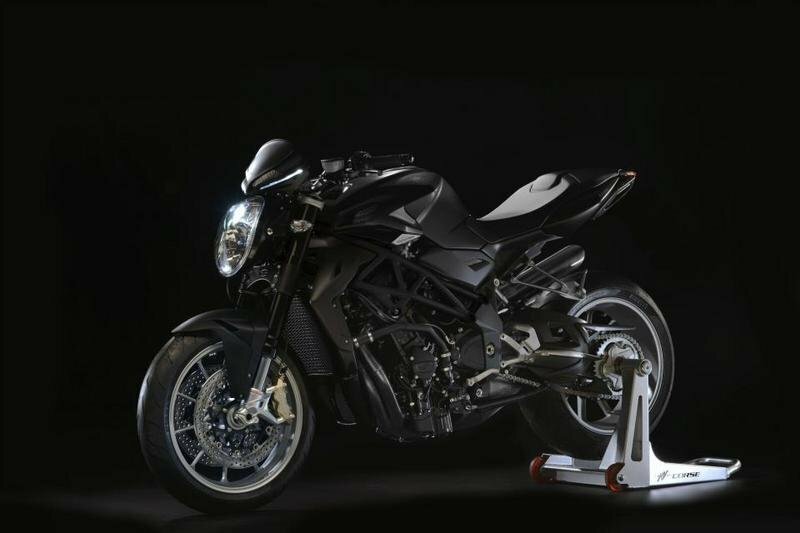 All three bikes have fully adjustable suspension, though again the Brutale 1090 RR differs from the other two, and has both high and low-speed compression dampening adjustments on the rear shock. 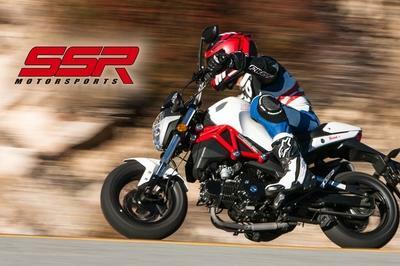 The base model and R model come with 310mm front brake discs, while the RR features 320mm units with Brembo monoblocs."